Packing a suitcase might seem like a simple task. But it’s one of those things that seems simple until you actually have to do it, like wrapping a gift, or baking a cake that looks as good as the one you saw on Pinterest. The best way to approach these activities is to get someone else to do it for you. Then you don’t have to worry about getting it right. And if it goes wrong, there’s someone else to blame. Sorted. If, however, you are in the unfortunate position that other people have become wise to your tricks and are now refusing to do it for you, your next best option is to learn how to do it yourself. But it’s okay, you’re not doing it on your own. I’m here with some helpful hints and tips to help you learn how to pack a suitcase like a pro. I’m just going to put it out there. Some suitcases are designed wrong. I’m not an inventor or a suitcase designer, but if I was, I would be very good at it. I would make it a rule that all suitcases must be fitted with wheels and a pull-along handle. I would become rich beyond my wildest dreams, because people would be so impressed with my groundbreaking design revelations that they would only ever buy suitcases that I had created. And then, with my new-found riches and power, I would banish all suitcases without wheels and pull-along handles to a dark room underneath a castle, never to be seen again. If you have ever tried to carry a fully packed suitcase for longer than a few steps, you will understand why I feel so strongly about this. 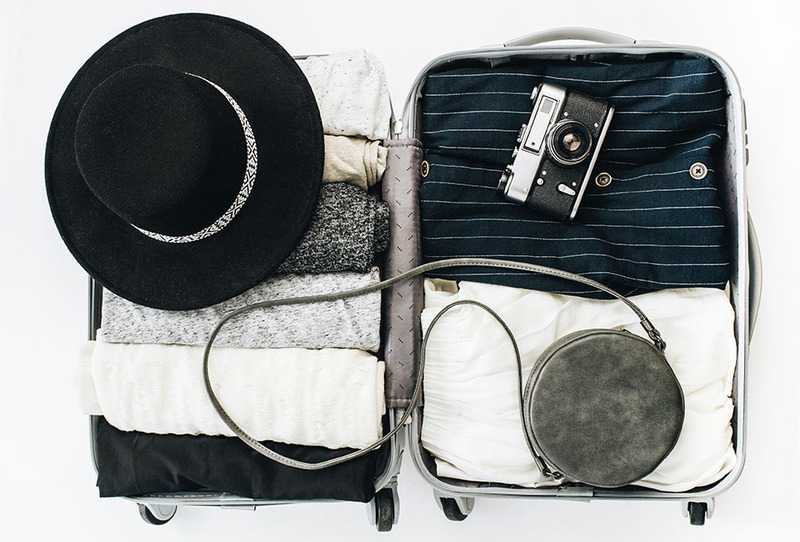 Unless you want to begin your trip with a pulled muscle in your shoulder and no circulation left in your hands, you’ll need a suitcase that you can wheel along by a handle. 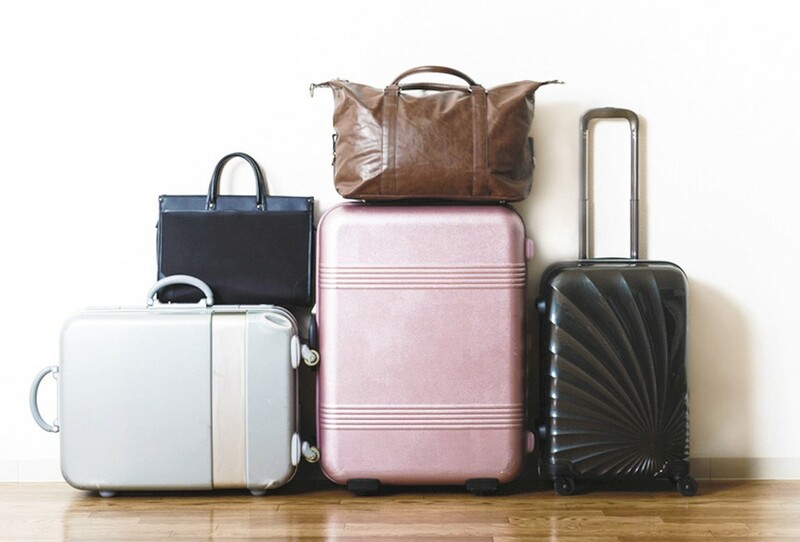 Once you have selected a potential suitcase, pick it up in the shop before you buy it. You need to do this so you can make sure it is lightweight. If it’s heavy before you put anything in it, put it back and step away from it. It’s not going to magically get any lighter when it’s full of your stuff. Unless it’s some sort of magic suitcase. In which case, obviously buy it. You may be tempted to buy one of the suitcases with the aggressively strong looking metal outer shell that resembles the kind of bunker you would want to have access to in the event of an apocalypse. Sure, it promises to protect the contents. But if you can’t pick it up because of the weight of all that bulky protective material, it’s not really going to work as a suitcase, now is it? And as for protecting the contents, tshirts can handle themselves. They don’t need extra protection. Just don’t pack any super breakable priceless heirlooms and you’ll be fine. So you’ve got your suitcase. If you have chosen well, you should be looking at a lightweight suitcase, with wheels, and a pull-along handle. Well done you. If that isn’t what you are looking at, you have failed already. Go back to the start of this blog post, try again, and don’t come back until you’re ready to take the art of packing seriously. Check the weather forecast for the place you’re travelling to. This is such a simple thing to do, and it takes less than five minutes- so you have no excuse not to. There’s nothing worse than having a suitcase full of things that aren’t appropriate. Trust me, I know. Check the weather before you start packing so you can pick out items that you know will be suitable. You don’t want to be shivering in a corner because you didn’t pack anything warm, or sweating everywhere like a disgusting beast because you’re uncomfortably hot. And most importantly, you don’t want someone to offer to lend you an item of clothing. If you accept, the item is bound to be ill-fitting, unflattering, or just full-on hideous. And if you decline, you come across as rude, as if you are expecting the person’s clothes to be ill-fitting, unflattering, or full-on hideous. Which you are. Right. So the next stage is to decide exactly which items to pack. Work out how many days and nights you will be away and decide how many different outfits you will need. 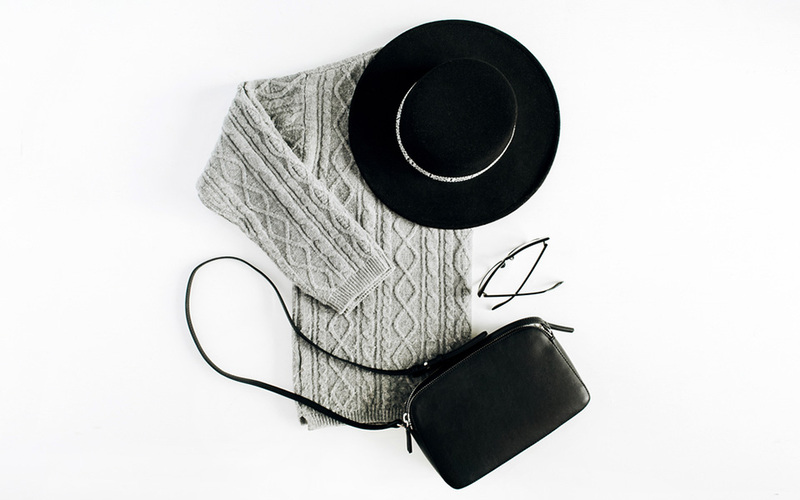 Where possible, choose items that can be easily layered or used in more than one outfit. If you get stuck, don’t worry. Luckily for you, we have very kindly created a free downloadable packing checklist, so you can print it out and tick things off as you go to make sure you don’t forget anything. How delightful. Important note: As you tick each item off the list, be sure to read out the name of the item first, and then say the word ‘check’ loudly as you put a tick in the relevant box on the checklist. I don’t know why you have to do this, I don’t make the rules, I just know that it is a fundamental part of packing. 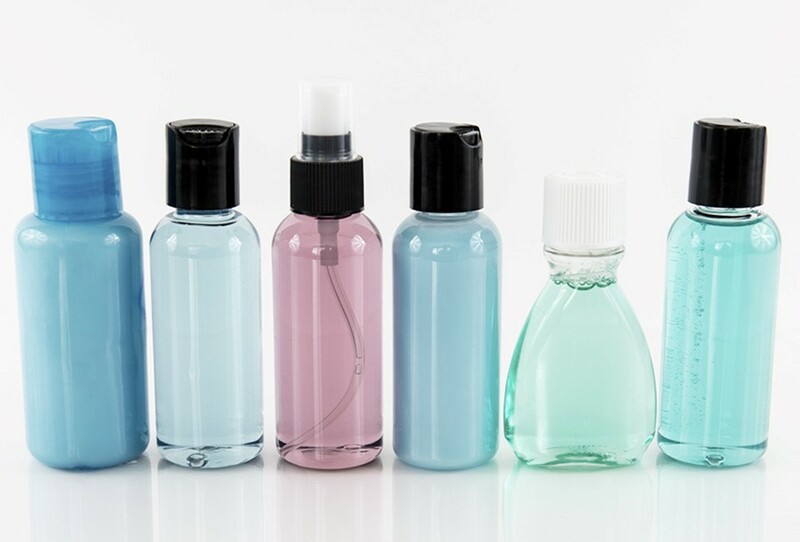 Travel size toiletries are a great way to save space in your suitcase. But they are also a great way to needlessly waste money. Instead, go to somewhere like Wilko, Boots, or Superdrug, and pick up a couple of their tiny clear bottles and pots. You can usually find them in the same section as the mini travel toiletries and they are often ridiculously cheap. Fill them up with the toiletries you already have at home, and you are all sorted with tiny versions of the products you prefer to use for a fraction of the price. You’re so thrifty right now. If you are a label person, feel free to make cute sticky labels showing the name of each product, and stick them on the appropriate bottles so you look super organised and feel like you have your life together. Whilst completely unnecessary (you could just smell the bottle or look at the colour of the liquid to determine what is inside), this step is very enjoyable if you like labelling things. There is an ongoing debate about whether it is best to roll or fold your clothes. Some people say that there is no right answer. Those people are wrong. I am here to settle the debate once and for all, because I have the answer. Rolling forces clothes into a funny, unnatural shape, creating huge creases because the creases are wrinkled and then held tightly into place by the roll. As for the various trendy rolling and folding techniques you might see floating around the internet, you shouldn’t need to do some ridiculous origami gymnastics move every time you put something in your suitcase. Just fold up your clothes like a normal person. 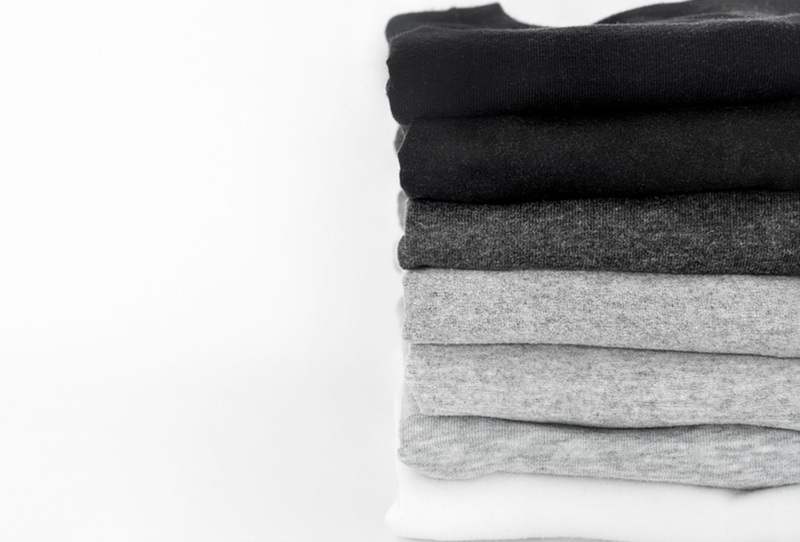 The best way to avoid creases and wrinkles is to only pack clothes made from materials that don’t wrinkle easily. Whilst we’re on the subject: Linen is your enemy. People will try to tell you that linen is a good material to take on holiday because it is an airy, natural fabric that will keep you cool and allow your skin to breathe. What they won’t tell you is that you will look like you have been attacked by an angry crimping iron. These same people will also tell you their ‘amazing hack’ to remove creases from clothes. They will try to convince you that all you have to do is hang up your clothes in the bathroom whilst you are in the shower, and by the time you emerge, the steam will have magically de-creased your clothes. I know, I have tried it, and it really doesn’t work. And believe me, I tried it with an open mind. I am open to any magic tricks that mean I don’t have to iron clothes. Step Five: Send me a thank-you card for sharing such helpful advice.